My dog is greedy! – so you have a dog that eats too quickly, he doesn’t chew his food but instead almost swallows every mouthful, what can you do? There are lots of “go slow” feeder bowls of differing shapes and sizes on the market to help stop dogs from consuming their food too fast. 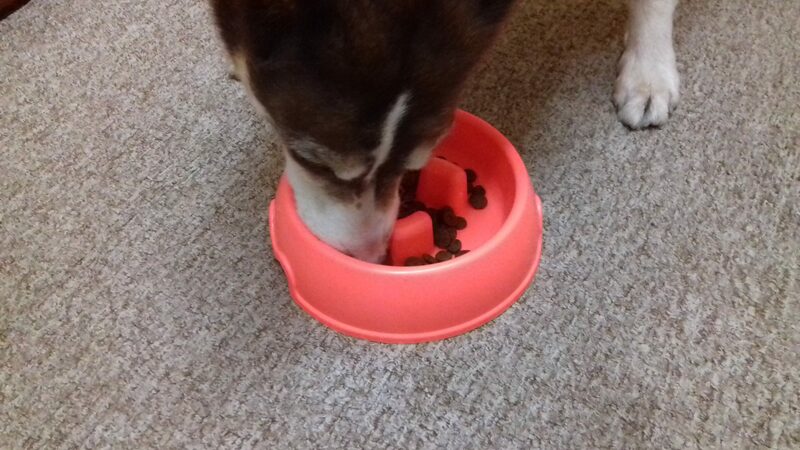 Here is a photo of my dog eating his Happy Nose Chicken, Sweet Potato and Herbs food from a go slow bowl, which makes him take longer over his meal.